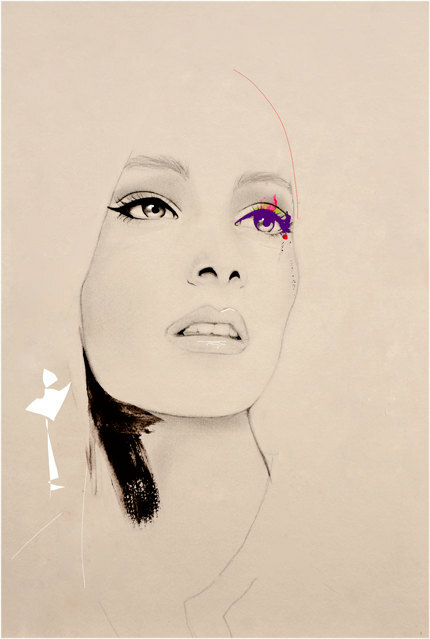 When I first saw this print by illustrator and photographer Leigh Viner I had a little bit of art envy. Not only did I immediately want to own it, I wished I had the artistic talents to create something so jaw-droppingly beautiful. I was thrilled to discover Leigh sells her work via Etsy and it' s totally affordable. Not bad for an artist who has collaborated with Lady Ga Ga and been featured in numerous print and online publications such as Harper's Bazaar and Lonny magazine. 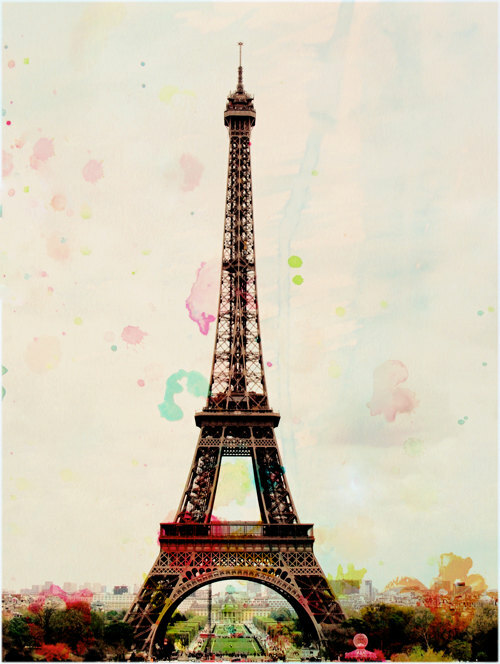 Her love of fashion, photography, travel, art and design is reflected in her work which has been exhibited across the US and Italy. 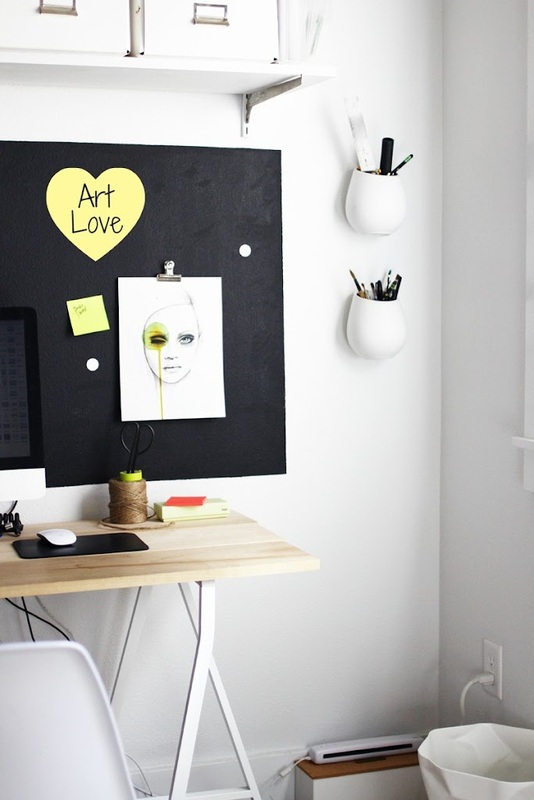 Here, the Illustration Art Print 'Fused' graces the wall of Jennifer Hagler's gorgeous workspace. Jennifer is the talented blogger behind A Merry Mishap who often shares photos of her beautifully styled home. 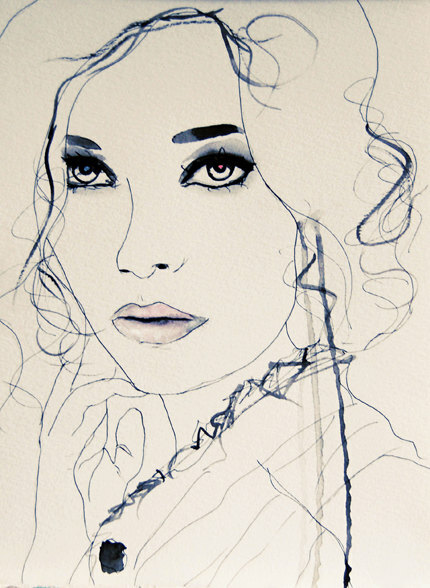 Many of Leigh's works send my heart into a flutter but the simple yet sensual style of this print really calls to me. Here are a few more of Leigh's works that I love. To see more, visit Leigh's website or etsy shop. 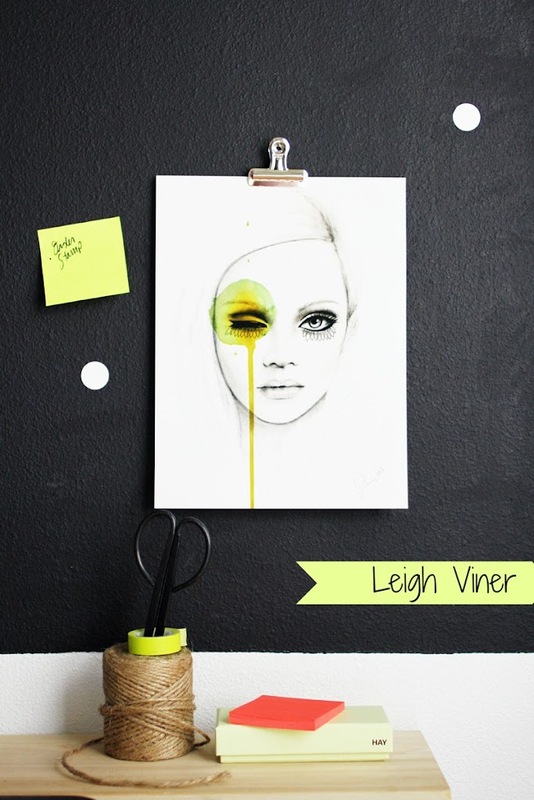 To see what inspires Leigh, have a read of her lovely blog Create.